As you can see, they’re quite fancy and looked nice displayed in egg cups on the table (the holder shown in the picture was used only for drying). 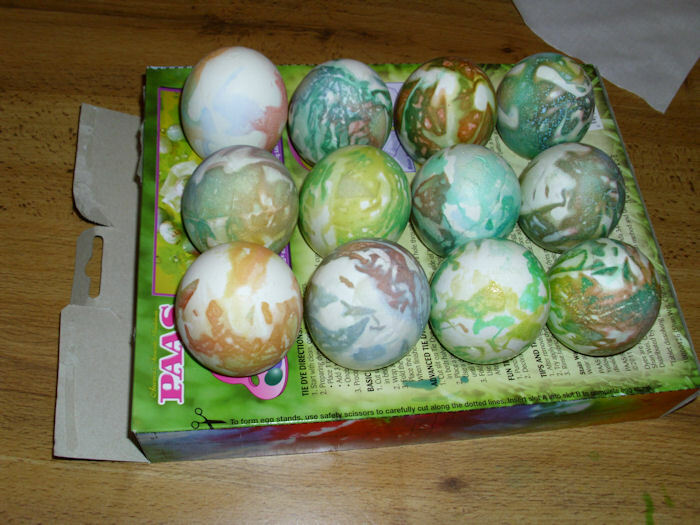 To get this effect, you wrap a piece of material around the egg, place the egg in a special holder, and inject colors using a syringe type device into holes in the holder. It took between 2 and 3 hours for us to complete the task. During that time we had a lot of fun and laughs, especially when a set of colors would produce unexpected results. 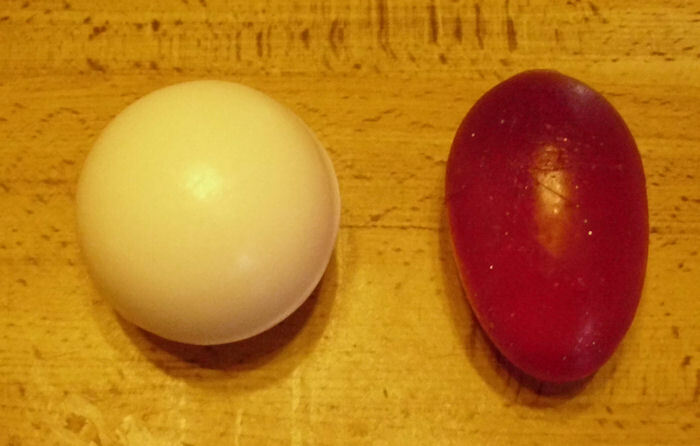 We found that you need to leave the egg in the holder for a few minutes after injecting the colors to obtain optimal results. The bottom line is that you can have a ton of fun for nearly nothing if you try. So, how do you have fun on a budget? Let me know at John@JohnMuellerBooks.com. In an earlier post I had provided what I had hoped were great instructions for getting CodeBlocks to work on a Macintosh so that you can work through the examples in C++ All-In-One Desk Reference For Dummies. The instructions do, in fact, work for most people, but they don’t work for everyone. So, part of the reason for this post is to ask for your input. If you’re a Mac user who has encountered problems getting CodeBlocks to work, but solved the issue in a way that differs from my previous post, please let me know all the details about your technique (including the symptoms and step-by-step solution) at John@JohnMuellerBooks.com. One of the best pieces of advice I can offer is to check the CodeBlocks Wiki for Mac-specific information. The current advice is to download the Xcode developer tools from http://developer.apple.com/technologies/tools/, which apparently is a large download—in excess of 4 GB—so be prepared to do something else while you wait. I found similar advice on sites such as Tech-Recipes and the nixCraft forum. If you have a better solution, please let me know and I’ll be all too happy to share it here on my blog. As a final note, if someone could let me know the actual installation directory for GNU GCC on the Mac, I’d really appreciate it. I understand that the installation directory is probably /usr/bin/gcc, but I’d like to be sure. The line length is too long—forcing the eye to work extra hard to read the material because the eye loses track of the line and actually making it tiresome to review the material. The page contains too much material, which makes it tiresome for anyone working with a screen reader to listen to all the material before finding the one bit of information actually required from the site. The use of vertical scrolling is contrary to the historical use of horizontal scrolling. If you look at how people worked with scrolling in ages past, it was always horizontal, making it easier to read the material. She even sent me two articles that describe the problem in greater detail. The first article is entitled, “Are Horizontal Website Layouts the Wave of the Future?” and points out that research shows that most people don’t even read the excess material on a Web site. If nothing else, the strong research showing that my efforts are being wasted would tend to make me rethink my design. The second article is entitled, “Horizontalism and Readability” and it places more emphasis on the historical approach to horizontal layout, rather than focus on modern research. I tend to prefer tested approaches to presenting information when I can get them (new ideas are fine for someone else to test). The method of presentation differs. You’re not relying on paper, you’re using a video screen of some sort and that does make a difference in how the reader perceives the material. The environment differs. I don’t usually sit in my easy chair next to the fire when I read materials online. I’m normally in my office in a formal work environment. The approach to reading differs. My paper reading environment is relaxed and long term. It’s nothing for me to spend an entire day reading a good book. My online reading is more like a sprint—I find what I need quickly and never read for more than a half hour at a time. The technology differs. When I read a book, I get print in one size. So, if the print is less than appealing or causes eye fatigue, I’m just stuck with it. My browser allows me to change the font size a Web site uses so I can make the print eye friendly. In fact, I can even use a CSS file to change the typeface and other features for some Web sites. The obvious question now is whether the two environments differ enough that considerations normally made for paper don’t apply to Web sites. My thought is that creating Web sites with smaller amounts of material, eye friendly design, and shorter columns are all great ideas, but I’m not completely sold on the idea of horizontal scrolling. What is your take on this idea. Let me know at John@JohnMuellerBooks.com. One of the problems with writing applications, administering any network, or understanding system issues is to ensure that you see things from the user’s perspective. It doesn’t matter what your forte might be (programmer, administrator, DBA, manager, or the like), getting the user view of things is essential or your efforts are doomed to failure. Of course, this means seeing what the user sees. Anyone can run an application at the administrator level with good success, but the user level is another story because the user might not have access to resources or rights to perform tasks correctly. Most knowledgeable users know that you can simulate an administrator by right clicking the application and choosing Run As Administrator from the context menu. In fact, if you Shift+Right Click the application, you’ll see an entry for Run As A Different User on the context menu that allows you to start the application as any user on the system. However, the GUI has limitations, including an inability to use this approach for batch testing of an application. In addition, this approach uses the RunAs command defaults, such as loading the user’s profile, which could cause the application to react differently than it does on the user’s system because it can’t find the resources it needs on your system. A more practical approach is to use the RunAs command directly to get the job done. You can see some basic coverage of this command on page 480 of Windows Command-Line Administration Instant Reference. To gain a basic appreciation of how the user views things, simply type RunAs /User:UserName Command and press Enter (where UserName is the user’s fully qualified logon name including domain and Command is the command you wish to test). 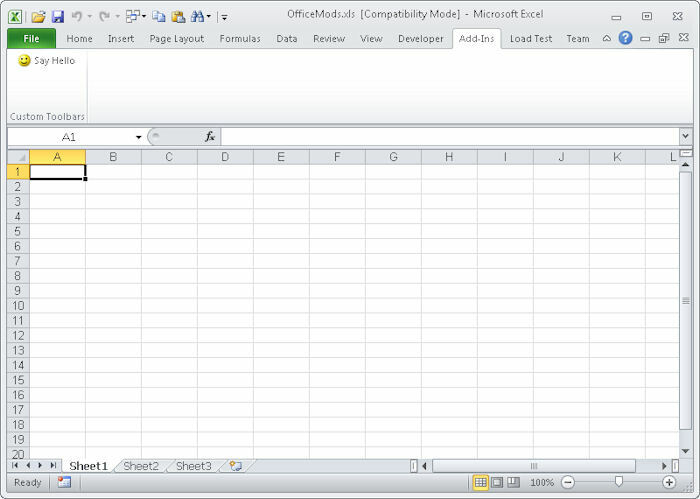 For example, if you want to see how Notepad works for user John, you’d type RunAs /User:John Notepad and press Enter. At this point, the RunAs command will ask for the user’s password. You’ll need to ask the user to enter it for you, but at that point, you can work with the application precisely as the user works with it. Of course, many commands require that you provide command line arguments. In order to use command line arguments, you must enclose the entire command in double quotes. For example, if you want to open a file named Output.TXT located in the C:\MyDocs folder using Notepad and see it in precisely the same way that the user sees it, you’d type RunAs /User:John “Notepad C:\MyDocs\Output.TXT” and press Enter. In some cases, you need to test the application using the users credentials, but find that the user’s profile gets in the way. The user’s system probably isn’t set up the same as your system, so you need your profile so that the system can find things on your machine and not on the user’s machine. In this case, you add the /NoProfile command line switch to use your profile. It’s a good idea to try the command with the user’s profile first, just to get things as close as you can to what the user sees. The default is to load the user’s profile, so you don’t have to do anything special to obtain this effect. Many people are experiencing problems using the /ShowTrustLevels and /TrustLevel command line switches with newer versions of Windows such as Vista and Windows 7. The consensus seems to be that Microsoft has changed things with the introduction of UAC and that you’ll need to work with the new Elevation Power Toys to get the job done. I’d be interested in hearing about people’s experiences. Contact me at John@JohnMuellerBooks.com. Everyone knows that the days of the CommandBar are gone. 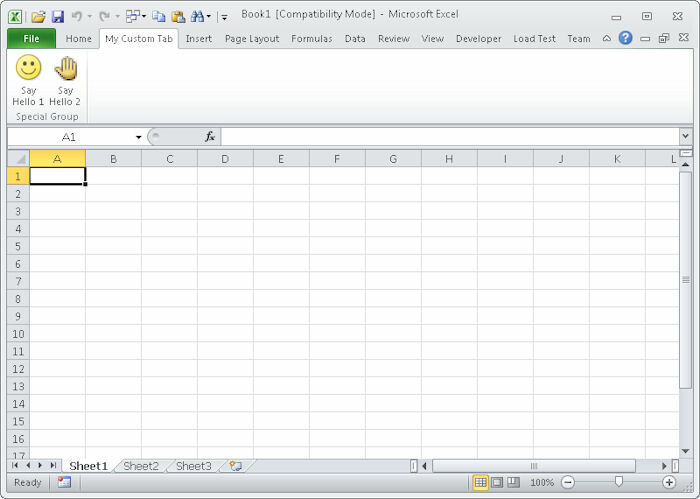 Sure, you can still use the CommandBar in your VBA applications, but the result is less than spectacular. All of the entries end up on the Add-Ins tab of the Ribbon. Consequently, even though the code in Listing 12-2 of VBA for Dummies still works just fine, you end up with this addition to the Add-ins tab as a result. Even the icon is correct from the listing, so the code does indeed work, but it isn’t as nice as it could be. 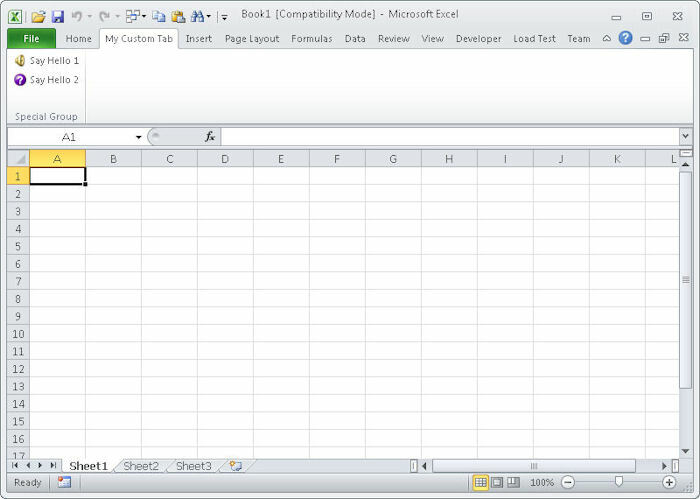 Of course, you could create a true Ribbon addition for your VBA application. Starting on page 266 you discover the incredibly convoluted and horribly difficult technique to add a real addition to the Ribbon in Office 2007. The results really are quite nice and you obtain the full functionality that the Ribbon provides. However, unless you have a lot of time to spend working through these steps, you’ll quickly learn to dread the entire process. Fortunately, Office 2010 offers a middle ground approach. The results really are Ribbon-specific and you do have some flexibility in how the buttons appear, but there are still a few limitations. Let’s look at what you need to do to obtain this middle ground result. The first phase is to create the buttons you want to use with the application and export them to a file so you can modify their appearance. Uses these steps to accomplish this task. Create your macros as normal. The example uses these two very simple macros. MsgBox "Saying Hello From SayHello1"
MsgBox "Saying Hello From SayHello2." Choose File > Options to display the Options dialog box. Select the Customize Ribbon option so that you can see the Ribbon configuration again. Choose Import/Export to display the import and export options. Select Export All Customizations to display a File Save dialog box where you can save the customizations to disk. Type a name for the file, such as MyCustomization.exportedUI and click Save. At this point, you have an XML file containing your customizations. Notice that the buttons now use different icons and they’re arranged differently. You can use this approach to create a customized look to this much simpler approach for dealing with the Ribbon. Make sure you get the Office 2010 Icon Gallery or the Office 2007 Icon Gallery to obtain usable icon names to use for your applications. Of course, there are always limitations. So far I haven’t figured out how to use other kinds of controls. For example, I can display a toggle button just fine by changing the <mso:button> element to an <mso:toggleButton> element, but the resulting control isn’t functional. With any luck, I’ll eventually figure out techniques for working around these issues, but this post is a good start. Let me know if you try this technique out and what additions you can figure out for it at John@JohnMuellerBooks.com. You can download the example files, if desired, to see how things work. 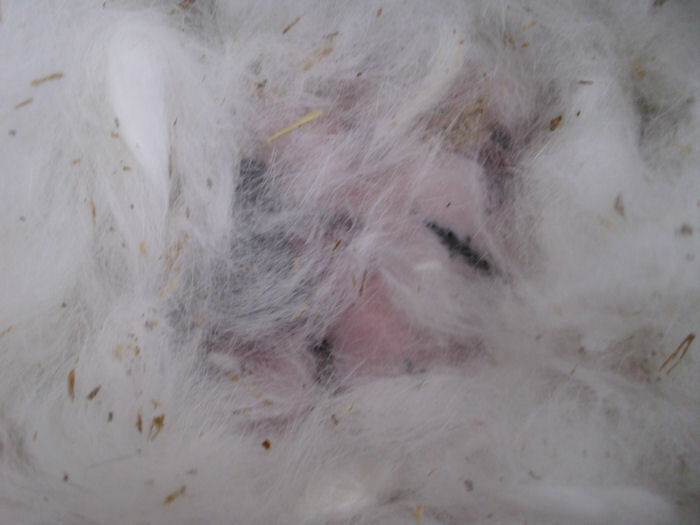 These babies were quite active and healthy, so they were a little hard to catch with the camera, but you can see them under all that hair. 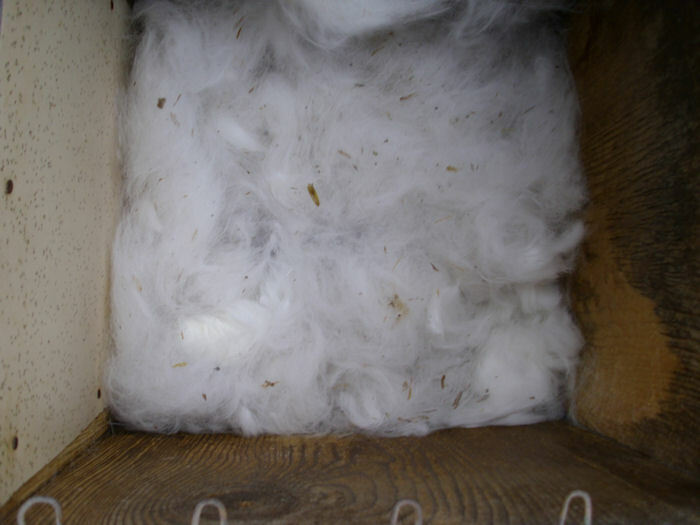 We were quite careful not to touch them or anything in the nest box. Afterward, we carefully covered them back up because they can take a chill pretty easily at this point. Whether we get a look at all depends on mother bunny. If she looks at all concerned, we leave the babies completely alone. Some mothers will thump to show their displeasure at our peeping. Normally, they’ll let us take a look a bit later, usually within a few days. Happy Easter from the farm! The business is bought by someone else and the code must be integrated into a new system. A change in some other component necessitates a change in the application (such as the changes in Vista and Windows 7 security). The business has grown and now needs new features to support its customers. Modifications in the law mean changes to the way the application interacts with data. Technology changes in such a way that the application no longer works properly. In fact, the reasons for change are endless. I could probably continue writing reasons for change for hours and not cover even a small number of them. The point is that applications will change at some point—it’s simply a matter of time. If you’ve written code for any time at all, you know that feeling in the pit of your stomach when you discover the perfectly lucid comments you wrote at the time you created the application are no long lucid now. Worse still, the documentation you put together doesn’t tell you what you did and why. Still, after a few hours of looking at your comments and documentation, you can usually begin to fit the pieces together of an application you created because you can recreate the thought patterns you had when you designed and wrote it in the first place. However, what happens when you’re part of a team or you’re working on an application that someone else designed? Now there isn’t any way to “get back into the groove” of what you did in the past. The thought processes are foreign, so the comments and documentation have to be as comprehensive as possible. Even with great comments and documentation, it’s going to take a while to get up and running with the code. The longer it takes you to recreate the ideas that went into creating the code, the longer the project update languishes and the more extreme management’s position becomes. The only thing that management knows is that your application (the one you inherited from someone else) is costing the business money. Not only is there a cost associated with the update, but the delay costs the organization money too. Users who have to fight with an outdated application are always unhappy and aren’t productive. So, what techniques can you use to become productive as quickly as possible? That’s what I’d like to know as well. Obviously, reading the documentation and comments are two pieces to the puzzle, but what other techniques do you use? I’m currently putting an article together that discusses this topic in detail and I’d like to hear about your techniques. If you’ve ever been frustrated by someone else’s code, write me at John@JohnMuellerBooks.com. I’ll let you know when the article is published on Software Quality Connection. Dune is an amazing read that’s hard to strictly categorize. Most people say that it’s a science fiction book, which I guess it is to a certain extent. After all, it does take place in the future when mankind has moved out into the solar system and colonized many worlds. The book takes place so far into the future that all knowledge of man’s origins has faded into obscurity. There are certain technology elements to the book, but you won’t find robots, space battles, or anything of that sort. In fact, the author deliberately downplays technology and offers technology run amok as a reason for man’s venture into an almost anti-technology society. In some respects, Dune is a fantasy. You’ll find mention of the strange spice melange which imparts almost magical characteristics to those who indulge in it (and almost everyone in the book does to some extent with differing effects). The backdrop for the book reads somewhat like a Gothic novel with kings and queens. The main character is a duke seeking to repair an incredible wrong done against his family. The book is also filled with the mythical creature, a sand worm that’s so large that people can ride it. Dune is a desert planet and it invokes a somewhat romantic view of the difficulty of living in such an environment. However, in its innermost being, Dune is a book about political intrigue and the author, Frank Herbert, does an amazing job of creating a twisted plot. Because this book is a bit complex, some people will find it hard to read. Still, once you get into the meat of the book, you’ll find that it keeps your interest. Dune is for someone who likes almost Machiavellian complexity and doesn’t particularly relish a book with little substance—mere mind candy. The book has a strong cult following and you’ll find many follow on editions for it. In fact, two movies have come out about Dune in the past. The first is a shorter version (a little over 2 hours for the original theatrical offering) that stars Kyle MacLachlan, Virginia Madsen, Francesca Annis, Leonardo Cimino, and Brad Dourif. This version also includes Patrick Stewart before he became famous as the captain of the Enterprise in Star Trek. The second is a longer 265 minute version that stars William Hurt, Alec Newman, Giancarlo Giannini, Uwe Ochsenknecht, and Saskia Reeves. Both theatrical versions of Dune diverge from the original book plot in a significant way—the book doesn’t spend much time discussing the action in battles, while the movies seem to focus on it to an extent. In fact, Frank Herbert is apt to simply say that the battle occurred and that a certain party won. Consequently, the movies and the book both have something to offer and are different presentations of the same plot. I enjoy all three and plan to review the movies at some point. Dune is the sort of book to get if you want to become totally immersed and forget your cares for a while. The writing is good and you won’t find yourself distracted by inelegant prose. When you’re done, you’ll definitely find yourself wishing for more (and fortunately, there is more to be had in tomes such as Children of Dune). As with Silverlight, there is no mention of theWindows Presentation Foundation (WPF) in my book, “Professional IronPython.” The WPF is supposed to help solve some display problems for application developers and allow better use of modern graphics processors. Microsoft has provided a significant amount of information about the WPF that I won’t be discussing in this post. Whether you find WPF helpful or not depends on the kind of applications you create. I’m sure that WPF will find use in game applications, widgets of various sorts, mini-applications, and a host of other uses, but I’m not sure just what it adds to the common business application, such as a data entry application. Still, WPF is an exciting new technology that you should investigate. your system and can use the instructions found in the IronPython 2.7 and PTVS blog entry to install it. The example will accept the default name for the project. Of course, you can use any name that you’d like. Click OK. You’ll see a new WPF application. However, for some odd reason, the eXtensible Application Markup Language (XAML) (pronounced zammel) file doesn’t always open, so you’ll have to open it manually. At this point, you’ll see a project similar to the one shown here. 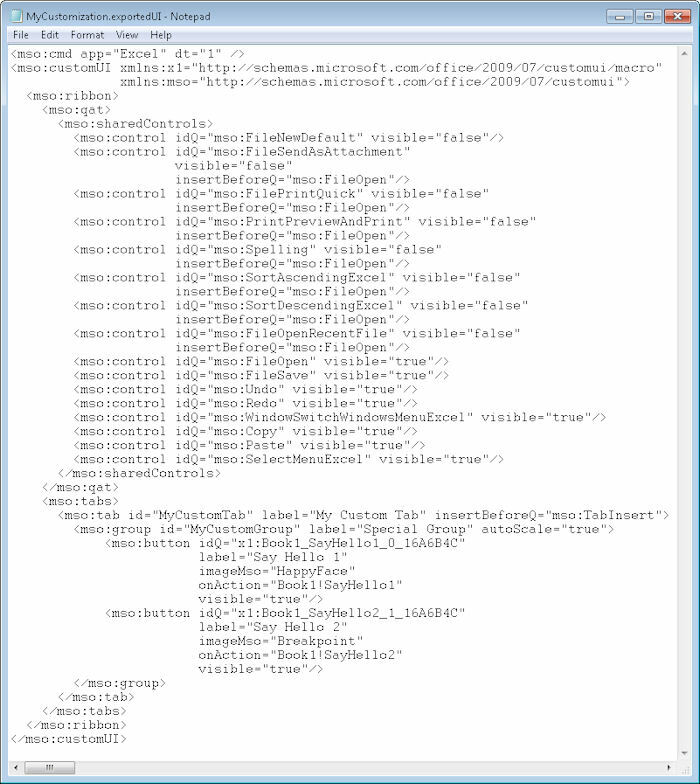 The top half of the designer shows what the page will look like, while the bottom half shows the associated XML. As you add controls to the form and configure them, you’ll see the changes in the XML, making it easy to code changes to the controls when necessary. Of course, you can choose to display just the Design window or just the XAML window if desired. Depending on the amount of screen real estate at your disposal, collapsing one of the panes by clicking Collapse Pane at the right side of the window, may be a good idea. 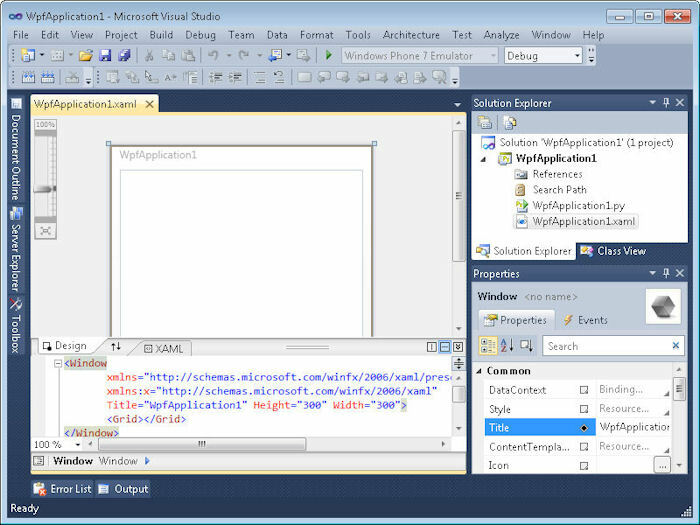 One of the advantages of using WPF is that you have immediate access to the Ribbon without having to employ any odd programming techniques. You just drag and drop the Ribbon controls from the Toolbox as you would any other control. Here’s a subset of the default set of WPF controls you can access from IronPython. As you can see, the set of controls is rich and you do have access to others, so WPF may be the way to go for IronPython developers who need maximum control access. The first button displays a simple message box, while the second ends the application. Each Button control is assigned basic visual properties, a name, and an event handler for its Click() event. One thing I dislike about working with WPF is that the Properties window doesn’t display any quick help for the various properties. You need to know what each property does or look it up, which is really inconvenient. # Display the message on screen. Much of this code is automatically generated for you. In order to use the MessageBox class, you must add it to the import statement as shown in the code. The code begins with the initialization, which simply loads the components from WpfApplication1.xaml. The btnCancel_Click() event handler relies on the MyWindow object’s Close() method. Make sure you pass a copy of self as part of the call. The btnMessage_Click() event handler makes a call to the MessageBox.Show() method with a simple text message. You’ll see the dialog box appear as expected. 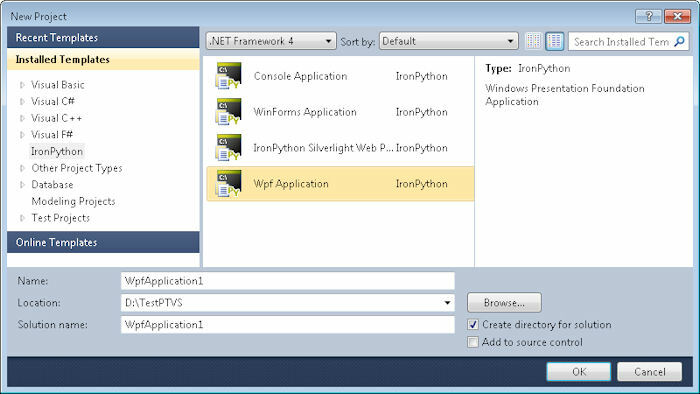 From what I can see, the WPF support for IronPython in PTVS is on par with WPF support for any other .NET language. It has the same limitations and benefits as any WPF application will have. So, what do you think of the new WPF project support provided by PTVS? Let me know at John@JohnMuellerBooks.com. Most of my crafting has a practical aspect to it. Such is the case with soap making. 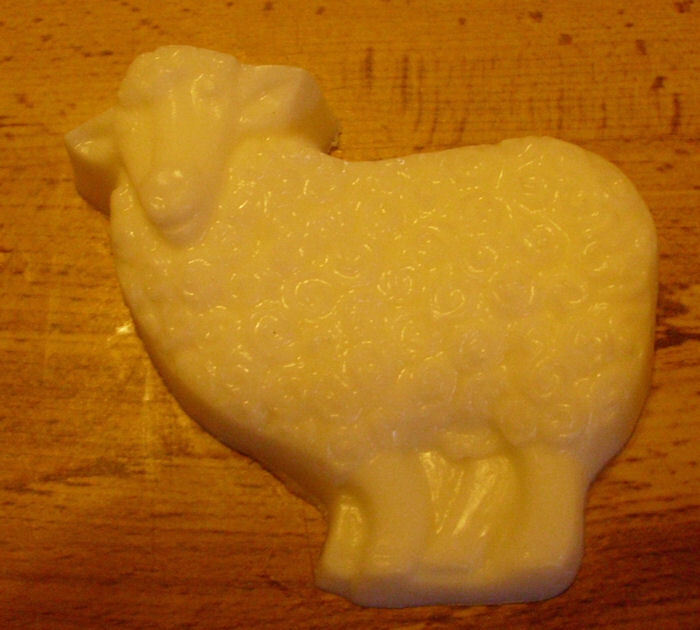 I make the soap because I use it. However, the soap I make has a certain artistic aspect to it and I also give it as gifts to friends and family I know will appreciate it. 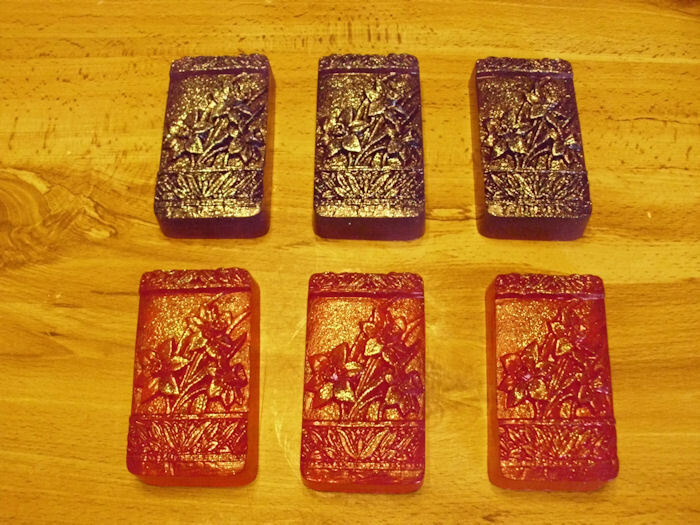 So there is more to soap making for me than simply an exercise in creating something to wash with. The soap on the left is a lovely coconut smell, while the one on the right is another baby power scent. 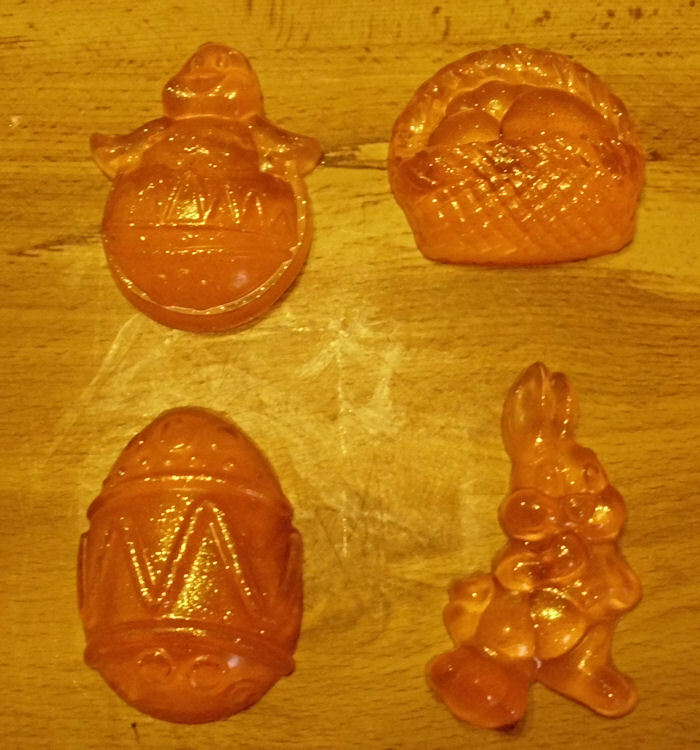 Of course, kids love shapes too, so I was extremely pleased when my wife found a jello mold that had pleasing kid-friendly shapes. 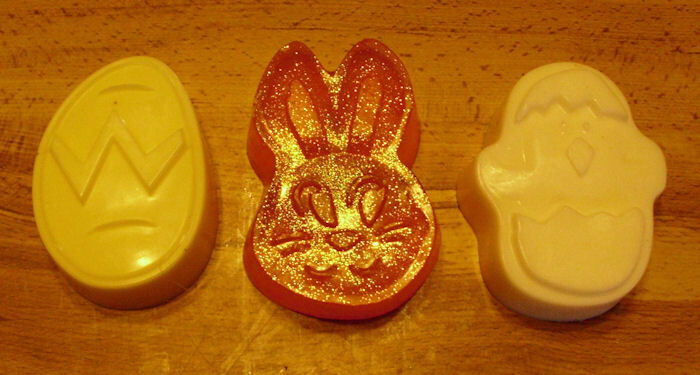 These soaps are in a wonderful Creamsicle scent that kids really love (think orange/vanilla). So, what are your favorite shapes and scents? Let me know at John@JohnMuellerBooks.com. In the meantime, I’ll continue crafting and letting you see the results !